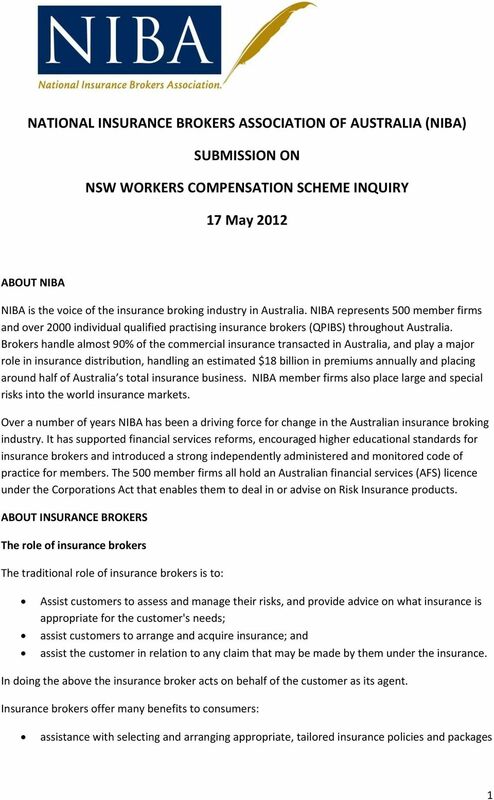 Download "NATIONAL INSURANCE BROKERS ASSOCIATION OF AUSTRALIA (NIBA) SUBMISSION ON NSW WORKERS COMPENSATION SCHEME INQUIRY. 17 May 2012"
The Chair Finance and Administration Committee Parliament House George Street BRISBANE QLD 4000. 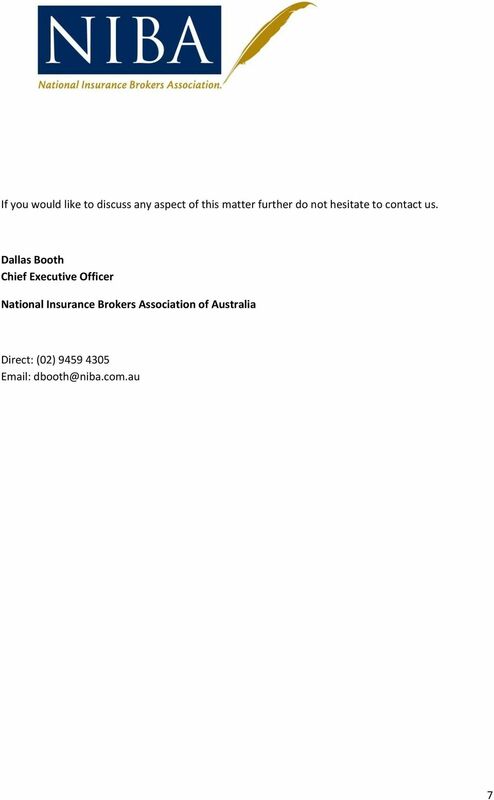 By email: fac@parliament.qld.gov.au. 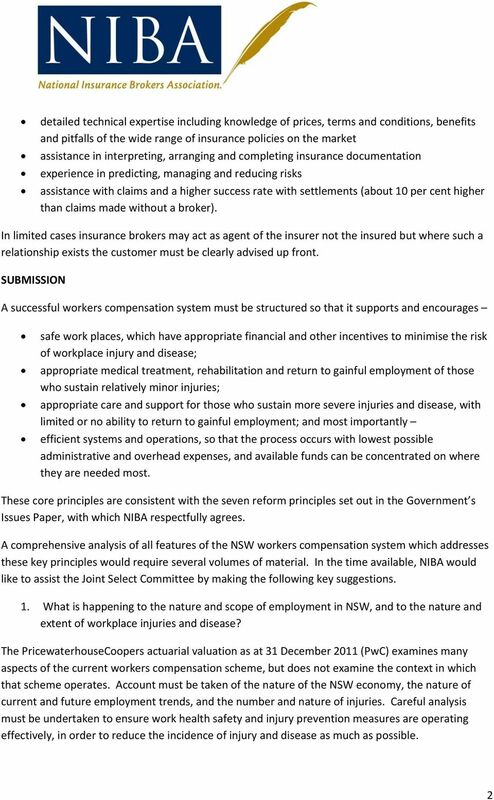 NATIONAL INSURANCE BROKERS ASSOCIATION OF AUSTRALIA (NIBA) SUBMISSION ON REVIEW OF THE INSURANCE CONTRACTS AMENDMENT BILL. 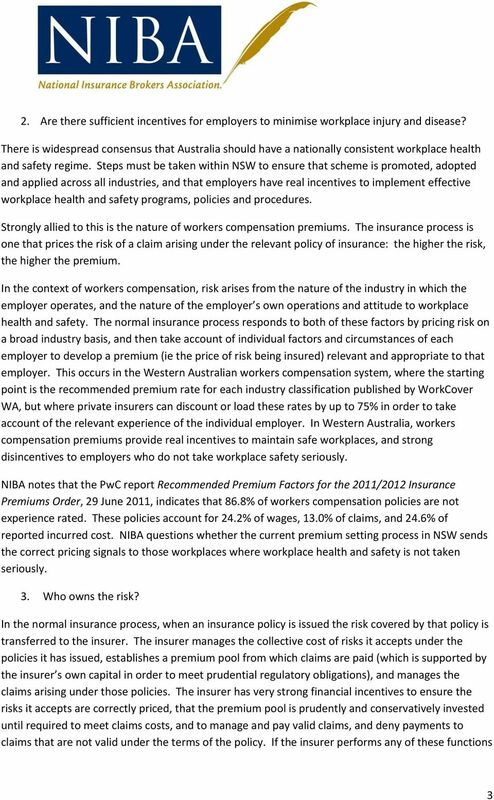 many activities to be undertaken that would not otherwise take place, and is an effective mechanism for pooling and transferring risk. 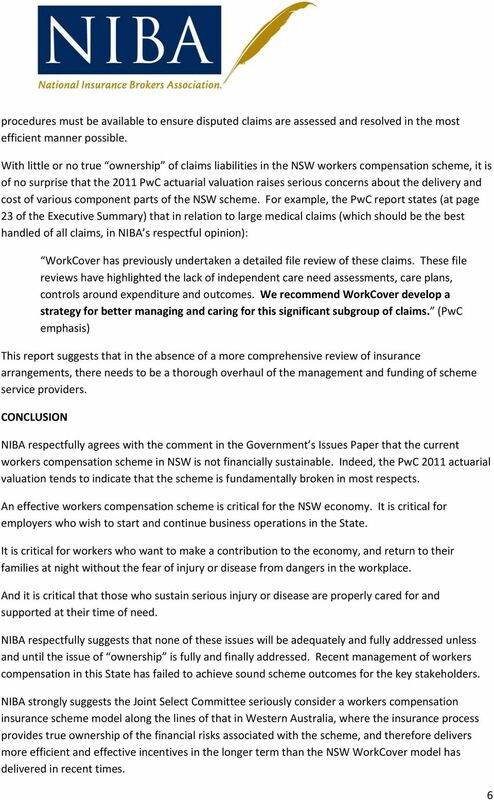 Actuarial perspective on tort reform. Richard Cumpston. 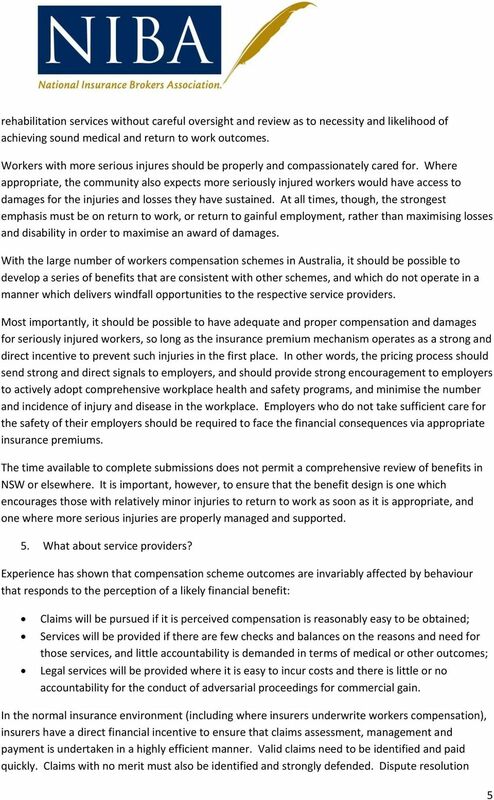 Richard Cumpston is a director of Cumpston Sarjeant, consulting actuaries, Melbourne. Part 1 To be filled in by the worker. 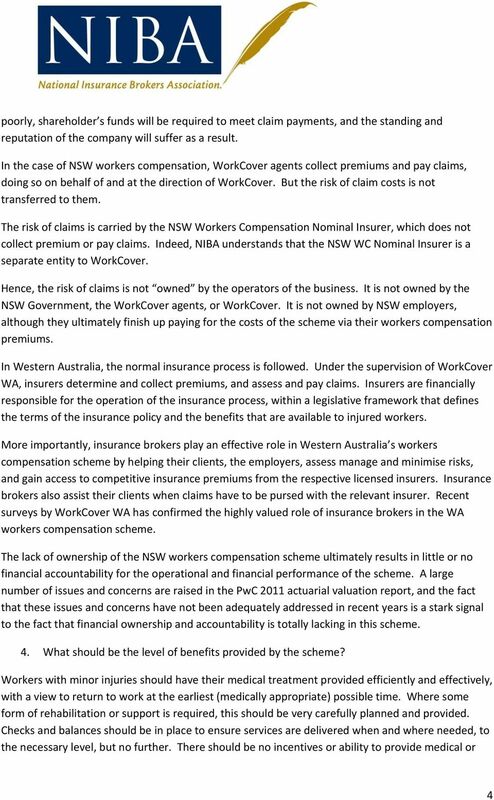 The following information is provided as guidance to workers filling in Part 1.